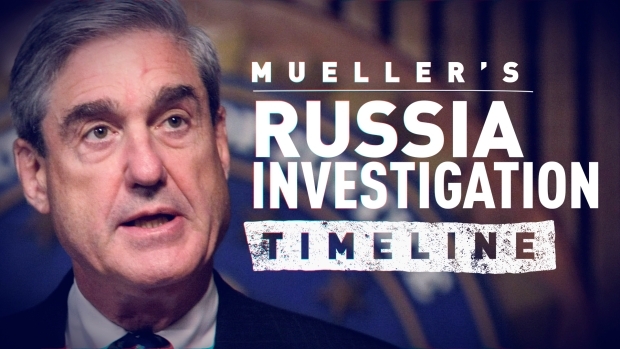 As soon as Special Counsel Robert Mueller had submitted his report on his investigation into Russian interference in the 2016 election to Attorney General William Barr, Democratic politicians began pushing for its release to Americans. Many insisted that President Donald Trump not be allowed to determine what parts are made public. Senate Republican Leader Sen. Mitch McConnell of Kentucky, in a statement released Friday, called only for as much openness as possible. He said that he hoped the report would help improve efforts to protect American democracy, which many Republicans believed had been threatened by Russia. "The attorney general has said he intends to provide as much information as possible," he said. "As I have said previously, I sincerely hope he will do so as soon as he can, and with as much openness and transparency as possible." Barr determines how much of the report to share with Congress, and in a letter to lawmakers on the House and Senate judiciary committees said that he may be in a position to advise them of Mueller’s principal conclusions as soon as the weekend. Democrats House Speaker Nancy Pelosi of California and Senate Minority Chuck Schumer of New York released a statement demanding that President Donald Trump not be given an early look at the report. "Now that Special Counsel Mueller has submitted his report to the Attorney General, it is imperative for Mr. Barr to make the full report public and provide its underlying documentation and findings to Congress. Attorney General Barr must not give President Trump, his lawyers or his staff any 'sneak preview' of Special Counsel Mueller's findings or evidence, and the White House must not be allowed to interfere in decisions about what parts of those findings or evidence are made public," they said. This month the House voted overwhelmingly on a nonbinding resolution to make the report's findings available to the public. The vote was 420 to zero, with four members voting present. The former chairman of the Senate Judiciary Committee, Republican Sen. Chuck Grassley of Iowa, said that throughout a prolonged investigation, which cost tens of millions in taxpayer dollars and included aggressive surveillance tools, "we still haven’t seen any evidence of collusion." "Now that he’s wrapped up his investigation, Attorney General Barr must provide Congress and the American people with the findings to finally put an end to the speculation and innuendo that has loomed over this administration since its earliest days. Attempts to keep the collusion narrative alive, especially for political reasons, will only serve to further harm our political discourse and play into the hands of our foreign adversaries." U.S. Sen. Jack Reed, a Democrat from Rhode Island and the ranking member of the Armed Services Committee, said the attorney general should expedite making the full report public, consistent with U.S. national security. "The American people have a right to see the evidence and draw their own conclusions," Reed said. "I urge Mr. Mueller to testify before Congress about the evidence he gathered, the scope of his work, and findings." "President Trump has sought to thwart and undermine the independent investigation at every turn," he said. "He has demeaned U.S. law enforcement and U.S. intelligence in a way that no previous President has ever done before and tried to declare himself exonerated before the report was even done." Friday evening, many other lawmakers, including those running in the 2020 presidential election, took to Twitter with their views. Here is a sampling of their reactions. Give it all to Congress. Err on the side of transparency. The future of American democracy depends on it. Congress and the American people deserve to judge the facts of the Mueller report for themselves. It must be provided to Congress immediately, and the AG should swiftly prepare a declassified version for the public. Nothing short of that will suffice. I expect both Ranking Member Feinstein and I will be briefed more thoroughly about the report in the coming days. I will work with Ranking Member Feinstein and our House Judiciary Committee colleagues to ensure as much transparency as possible, consistent with the law.